Damascus, SANA-Foreign and Expatriates Ministry said the heinous crime committed by the illegitimate US-led Coalition in al-Sousa and al-Bubadran villages in Deir Ezzor countryside prove once again its disregard for international law. The ministry demanded a transparent and independent international investigation into this crime and other crimes on its territories. Syria’s demand came in two letters the ministry addressed to the UN Secretary-General and President of the United Nations Security Council that SANA received a copy of on Saturday. On Friday October 19 2018, the illegal US-led Coalition targeted with warplanes residential buildings in al-Sousa and al-Bubadran villages in Deir Ezzor southeastern countryside, killing 62 civilians, mostly women and children, and injuring an unidentified number, some are in a critical condition. 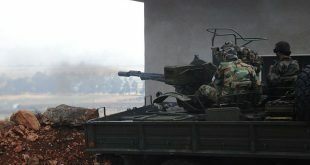 The ministry reminded of earlier letters in which it indicated to the Coalition escalating its bloody attacks against innocent civilians and its use of weapons of mass destruction and weapons with an indiscriminate impact such as white phosphorus in bombarding residential areas in Raqqa, Deir Ezzor, Aleppo and Hasaka. The letters demanded the UN Security Council to take a prompt action to end these crimes and prevent their recurrence. 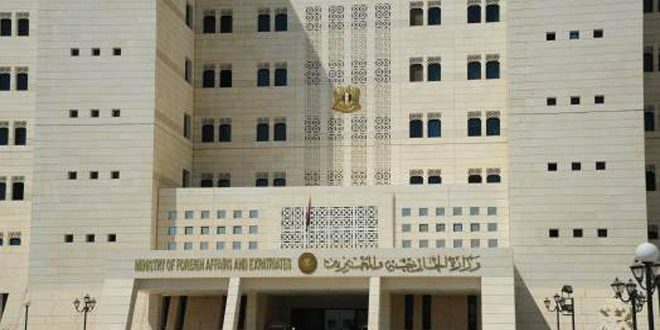 According to the ministry, yesterday’s crime is a war crime and a crime against humanity which proves once again the Coalition’s disregard for international law and the international humanitarian law, and belies the Coalition’s claims of fighting ISIS terrorism while in reality it is supporting its continuity in Syria. The ministry demanded that the UN Security Council shoulder its responsibilities in preventing these crimes and conducting a transparent and independent international investigation into them, and terminating the illegal presence of US and other foreign troops on the Syrian territories.